Paul Oliver is one of the most respected and knowledgeable naturalist/guides in East Africa with over 35 years of experience. In 1986, after traveling and exploring eighteen different countries in Africa and working in eight, he made Tanzania his permanent home. 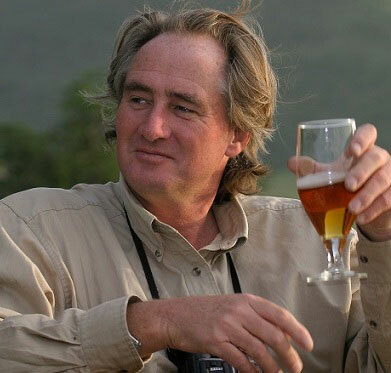 In 1992 he started the renowned tented safari camp, Oliver's Camp, which is still in existence today. Although since relocated, it was groundbreaking in that it was one of the first safari camps to be sited outside Tarangire National Park, providing jobs and income to the local village. From then, until just recently, Paul's home and work was in the bush at Oliver's Camp. Paul has a guiding team of vastly experienced individuals involved in various educational and conservation programs, environmental initiatives, as well as the training of other guides. Each guide is a combination of naturalist, scientist, birding expert, teacher, historian, environmentalist and conservationist. They are adventurous, devoted, passionate and a lot of fun. Their typical day starts at 5AM getting their Land Rover ready, and ends at the campfire whenever the last guest calls it a night. They will be a major part of your African Safari experience.